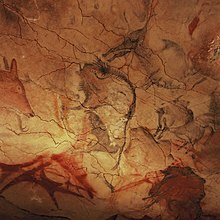 This images was added by user Elisardojm to the Spanish Wikipedia article on the Cave of Altamira, an article that had been viewed more than 20,000 times in June. During the month of July, we organized the Connected Open Heritage Challenge. The idea was to make use of as many as possible of the images on cultural and world heritages uploaded as part of the Connected Open Heritage project. The rules were straight-forward: the more views an article had had the month prior to the challenge, the more points you got for adding an image to it. We expected the number of participants to be lower, though, than in the UNESCO Challenge, where 96 participants contributed to one of the largest competitions in Wiki-history, as the COH Challenge required use of an external tool and more steps, but we did not expect the stunning results of the dozen of users who took part: 547 images were added to articles that had been viewed altogether almost 14.5 million times in June. We are indeed as happy as our partner in UNESCO that the images have been used, but it is equally a success for Wikipedia: about 14.5 million viewers will monthly see qualitative and newly uploaded images on our common, cultural heritage. The Journeys Through Our Fragile Heritage exhibition was displayed at Gothenburg's Gothia Towers. Journeys Through Our Fragile Heritage, a photo exhibition organized as part of the Connected Open Heritage project, was displayed in two venues in August: at the Sheraton Hotel in Montreal during Wikimania, as well as at the Gothia Towers hotel in Gothenburg, Sweden. The exhibition, prepared jointly by Wikimedia and UNESCO, showcases freely licensed photographs of cultural heritage in danger, aiming to raise awareness of the challenges it faces in today's world. Community members from all around the world examine cultural heritage data at Wikimania. Our progress in migrating the Wiki Loves Monuments data to Wikidata received a lot of interest at Wikimania, and not surprisingly so, considering that this year's edition of the world's largest photo competition was approaching fast. In order to take advantage of the fact that many community members with a keen interest in cultural heritage data were gathered in one place, we invited them to a mini edit-a-thon and matching workshop. It was an exciting opportunity to learn more about heritage data from countries as different as Iran, Chile and the Netherlands. Thanks to the help in mapping the data, we have recently finished migrating the Austrian dataset – over 37 thousand items – and are getting ready follow up with, among others, Germany, Belgium and Latin America. Swedish National Museum of Science and Technology has made changes in their image database, and are looking for help with doing some template migration as a preparation for uploading more images to Wikimedia Commons. Feel free to help out there. During the Stockholm Pride week the National Museum of Fine Arts hosted an edit-a-thon in cooperation with The Royal Armoury, Swedish History Museum and The Unstraight Museum. The afternoon had both time for editing articles and some presentations that included questions about if a person with a trans background, from before the term existed, should be defined as given or self identified gender. Researcher Sam Holmqvist argued that the editing community (at least for Swedish language Wikipedia) might avoid the questions and moves on to other articles based on an attempt to edit the article about Andreas Bruce a few years back and a still unanswered question on the talk page. This page was last edited on 9 November 2017, at 01:29.